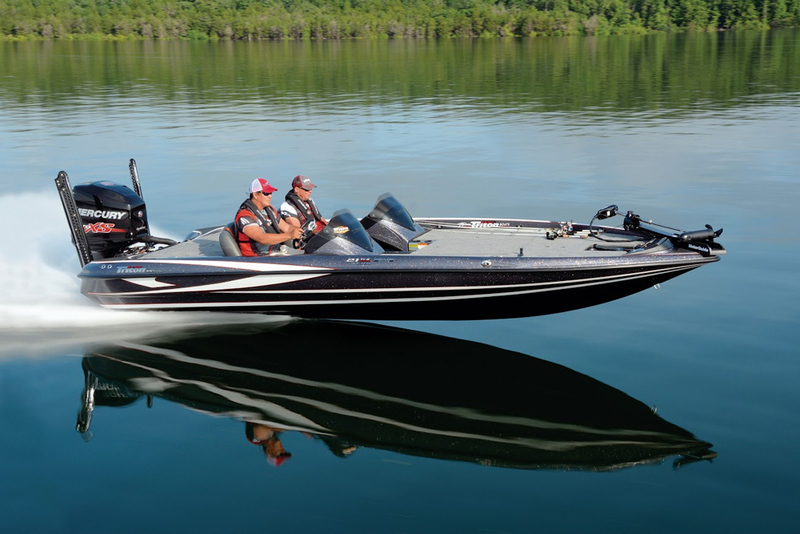 In search of the perfect bass boats? Check out these top 10 contenders that fall into our category, "best of the best." 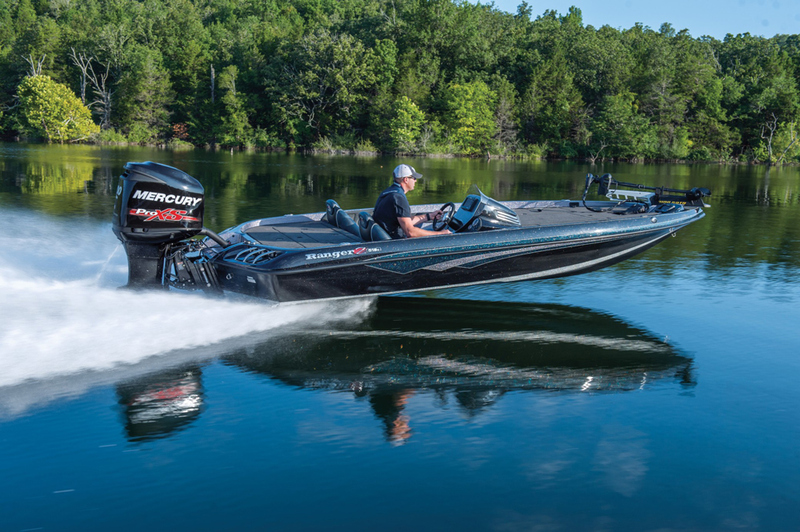 The best bass boats in the world share a number of traits like big casting decks, large livewells, and of course rather radical performance (see Best Bass Boats of 2013), if you enjoy things like monster outboards and top-end speeds up to 116 mph). And while these characteristics do make them ideal for bass fishing, the best bass boats also share a few weaknesses – like poor cross-over abilities for other types of fishing, low passenger capacity, and perhaps the most difficult for the average angler to deal with, rather astronomical costs. So while in some senses many of the boats that are “best” in some ways fall short. 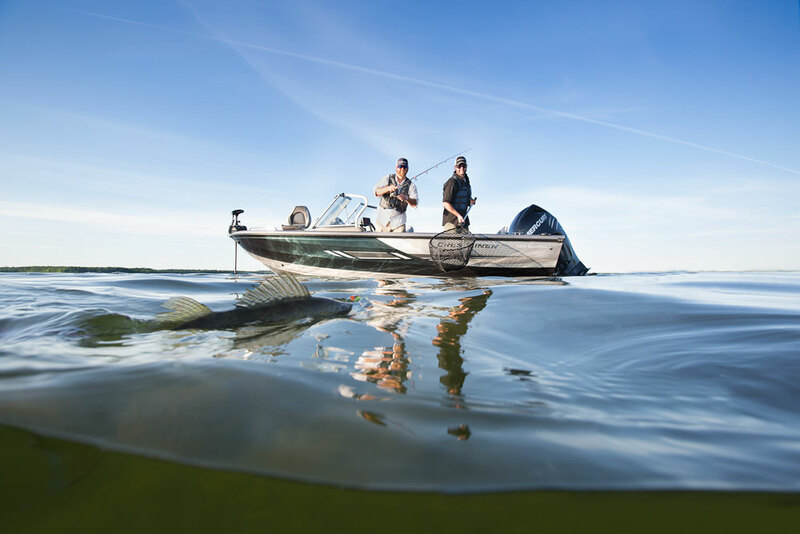 We dug deep to find 10 bass boats that warrant making this compilation and no matter what sort of fishing you enjoy or what your budget can handle, one or more of these choices should be at the top of your own personal list. When we tested the BassCat Puma FTD we discovered several traits that set it apart from the crown. First, a heavy-duty build including a floor, stringer grid, deck, and hull which are all vacuum-bonded together helps this boat squash a chop and we found running it far more comfortable than usual. Second, with a single 250 horse outboard, you’ll be shredding the lake at speeds over 70 MPH. 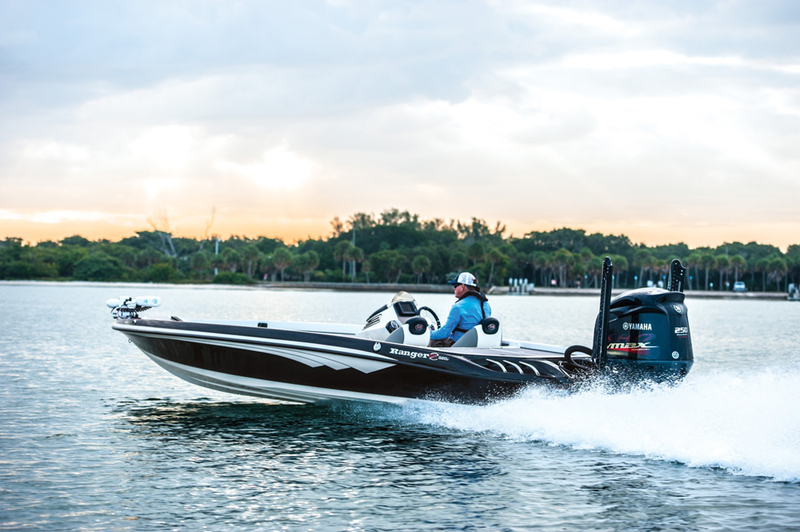 And third, unlike some bigger-name production bass boats this one can actually be customized to some degree with options like a passenger’s side console, or a Honda powerplant. Fully rigged and optioned-out pricing for a Puma FTD is likely to be well over the $60,000 mark, so frugal fishermen need not apply. See BassCat Puma FTD listings. Aluminum boats don’t usually get the glory when it comes to top bass boat picks, but the Crestliner 1750 Bass Hawk deserved some serious attention. 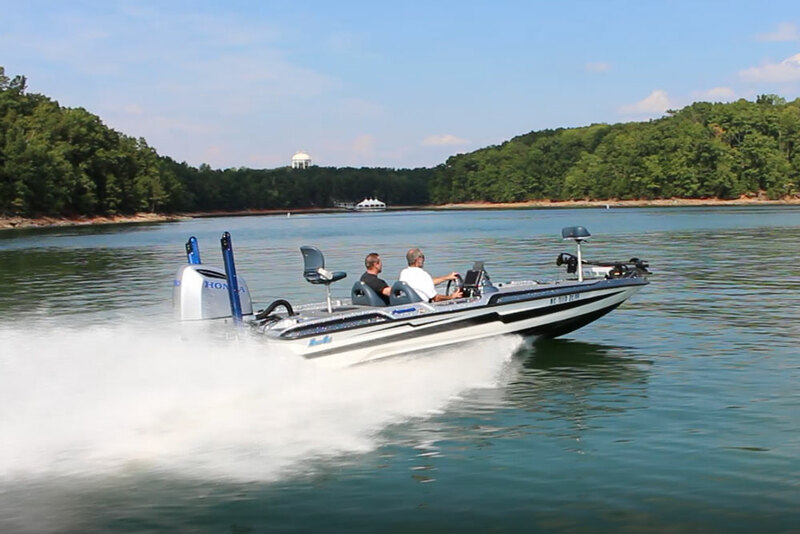 It’s relatively small, light, and easy to trailer; it has the major design traits needed for serious bass fishing, like big fore and aft casting decks, pedestal seating, a bow-mounted electric trolling motor, and a livewell; and with a price in the $30,000 range it’s cost seems quite reasonable when compared to those big fiberglass bass fishing machines. 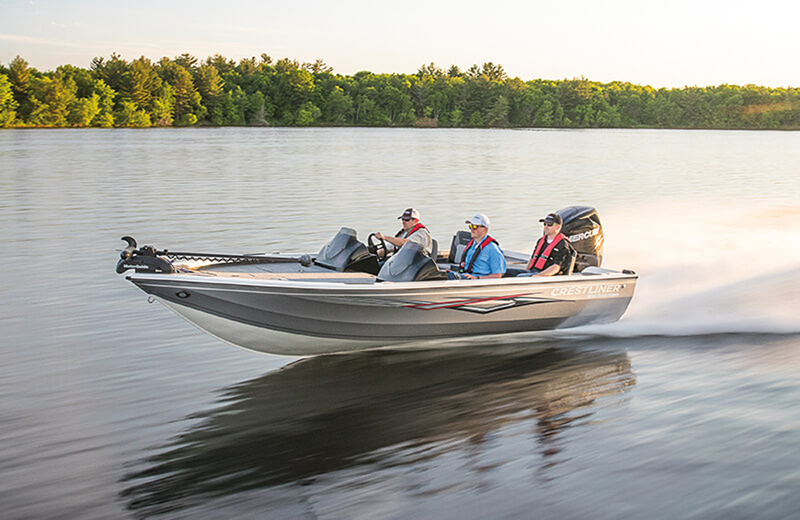 Plus, you don’ have to give up much in the performance department – when we tested the 1750 Bass Hawk, we hit a top-end of 52.1 MPH. See Crestliner 1750 Bass Hawk listings. 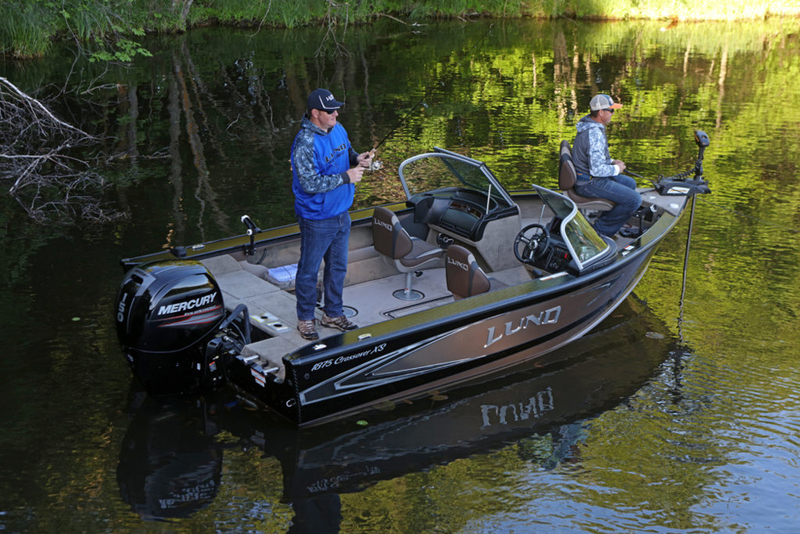 Strictly speaking, the Lund 1875 XS is a multi-species boat, not really a bass boat. That said, we wanted to include at least one boat of this genre in our compilation because a huge number of bass aficionados who fish with the family in lakes and rivers that can get rough will need to opt for this style, which has deep gunwales that corral the kids and a tall bow that breaks the waves. And while it may not be the ideal for bassing it does still offer the basics: pedestal fishing seats, an 18 gallon lighted livewell, and a rod locker in the deck. See Lund 1875 Crossover XS listings. The Nitro Z21 is a bass fishing machine, pure and simple – this is one of those models that does limit your options a bit. That said, this boat is set apart from the crowd by features like Z-Core seats with shock-absorbers, room for a flush-mounted 12” MFD at the helm, anti-fatigue padding in the deck, and a rodbox/organizer that can hold 10 rods up to eight feet long. Plus, the stock 225 HP outboard gets you a top-end just shy of 70 MPH and if you want to break that barrier, upgrading to a 250 or a 300 can make it happen. Even better is the not-so-crazy sticker price of $45,595. 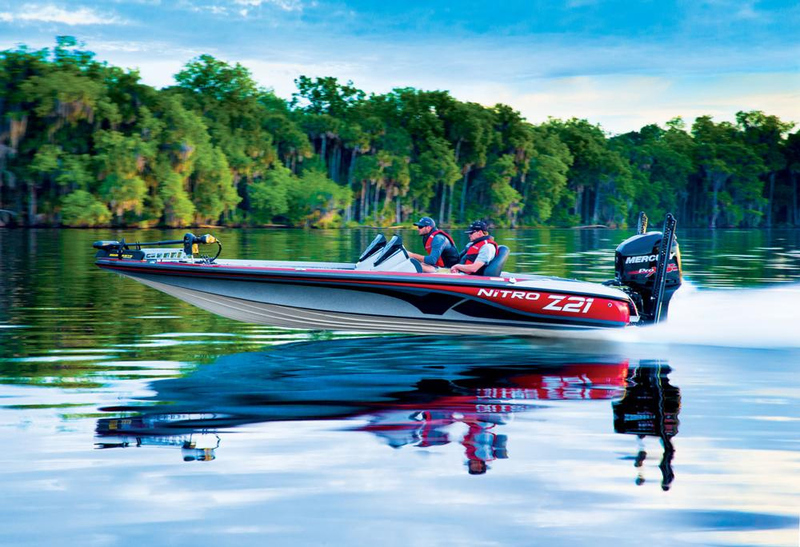 If the numbers are still a bit too high for your budget, be sure to check out 3 Top Affordable Bass Boats, which includes the low-down on the less expensive Nitro Z6. If you want 90 percent of the fishability for a third the cost, the Tracker Pro Team 190 TX will be your ideal bass boat. Although it’s a relatively simple fishing machine with a welded aluminum hull and a 90 horse engine (top-end: 45 MPH it has virtually as much bass fishing acumen as any other boat its size. Fore and aft casting decks are huge, there’s a bow-mount trolling motor with foot pedal controls, both forward and aft livewells, and locking rod boxes are built in. List price for the base boat with a trailer and 90 horse outboard included is a fist-pumping$19,495. This is another bass boat that’s 100 percent dedicated to bass fishing and bass fishing alone. If you want a flexible fishing machine look elsewhere, but if you want top-end in excess of 70 mph, 44 gallons of livewell capacity with two dedicated pumps plus an aerator timer, a rodbox that swallows a dozen eight foot fishing rods, and a three-bank onboard battery charger, the 21 TRX fits the bill. Added Bonus: you can have this boat with any one of 48 different fishfinders installed at the factory. 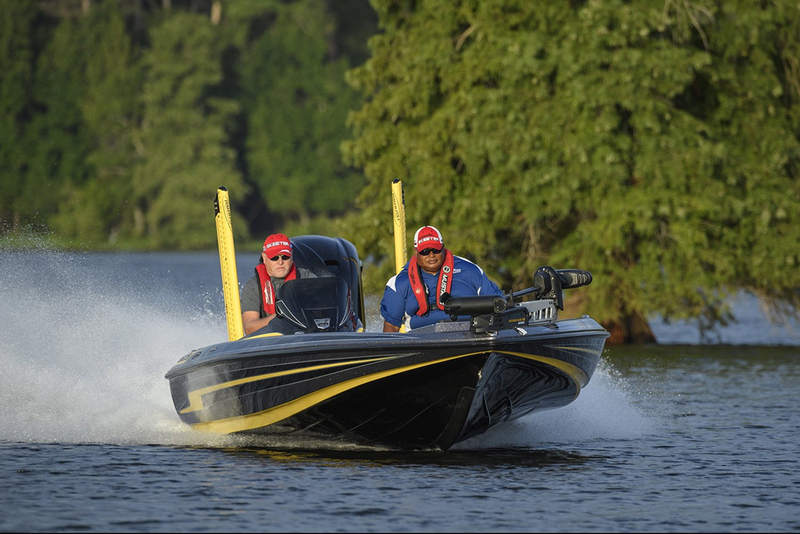 Note that this is a professional-level bass boat – literally. Angler Randy Howell fished in in the Bassmaster Classic in 2014, and won. See Triton 21 TRX listings. 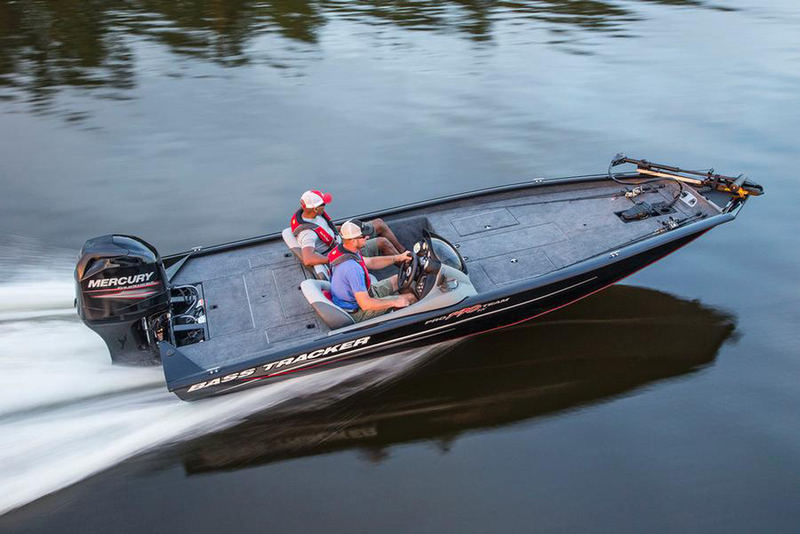 The Ranger Z518C is Ranger’s smallest boat derived from the Comanche line, but at 18’8” it still has plenty of room, and those couple feet of LOA save you a ton of cash. The Z518C starts at $46,895, while the Z522D, which is 22’7” jumps up to $70,795. Is it nice to have that extra space? Sure. It is necessary, to slay huge bass? Heck no. 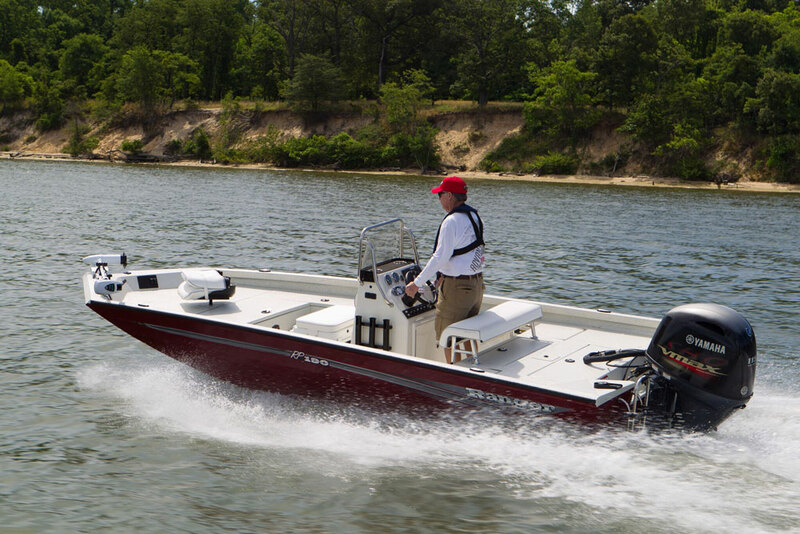 And don’t worry, the Z518C has virtually everything its bigger brethren can offer, including SRS shock-absorbing seats, a RangerTrail custom-matched trailer, and of course Ranger’s unique construction with a pultruded transom. See the review of the Ranger Z118C, the Z518C’s predecessor. Yes, we know it seems unfair to award Ranger two spots in this list, but the Z520CI makes so much sense, we just can’t resist. This boat is a bass boat through and through, just like the Z520C (a larger sibling of the Z518C we just finished talking about). The big difference is that instead of being carpeted the decks of this boat are finished off in fiberglass nonskid, and the hardware is all 316-grade stainless-steel. Can you see where Ranger’s going with this? 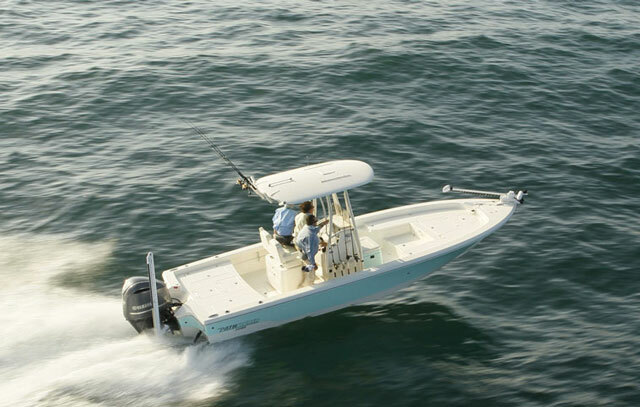 The Z520C gives you all the advantages of a bass boat but with saltwater capabilities. We don’t have a full review of the Z520CI, but if you’re interested in this sort of fishing machine you might also like to check out the Skeeter saltwater line. If you drive a Hummer, live in a mansion, and your other boat is a yacht, the Skeeter FX21 LE will certainly grab your eye. So will the $81,890 MSRP, but hey, who cares? This isn’t a bass boat for penny-pinchers. Nor is it a boat for the meek. The FX21 LE comes fully equipped with all the goodies virtually all other builders consider options, like twin Power Poles – which are even custom color-matched – a 112-pound thrust electric trolling motor, foot throttle, tilt hydraulic steering, a Sonic Hub stereo system, a four-bank battery charger, and a tandem axel trailer with brakes and torsion axels. Yowza. 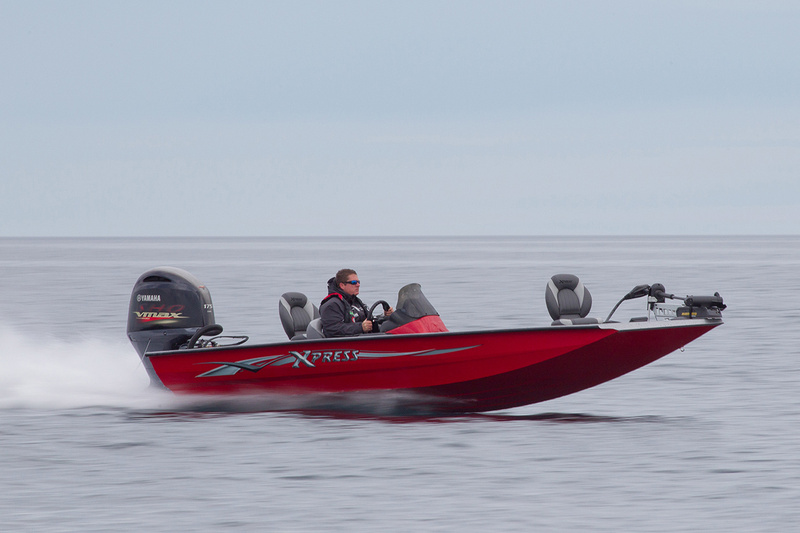 Few aluminum rigs can provide the performance of a fiberglass bass boat, but the Xpress X19 Pro can hit an eye-watering 64 mph – and that’s with a 175 horse outboard on the transom, which is 25 short of max power. Special perks include blinker-style trim control, a foot throttle, and 0.125” thick aluminum construction. Most aluminum bass boats in this size range have 0.10” thick hulls. We also love the fact that you can order the X19 Pro with or without carpet. All the other standard bassing goodies (aerated livewell, rodbox with organizer, bot trolling motor, and so on) are part of the package. To learn more, visit our Bass Boats explore page.